Take the Blade, Before the Blade Takes You! 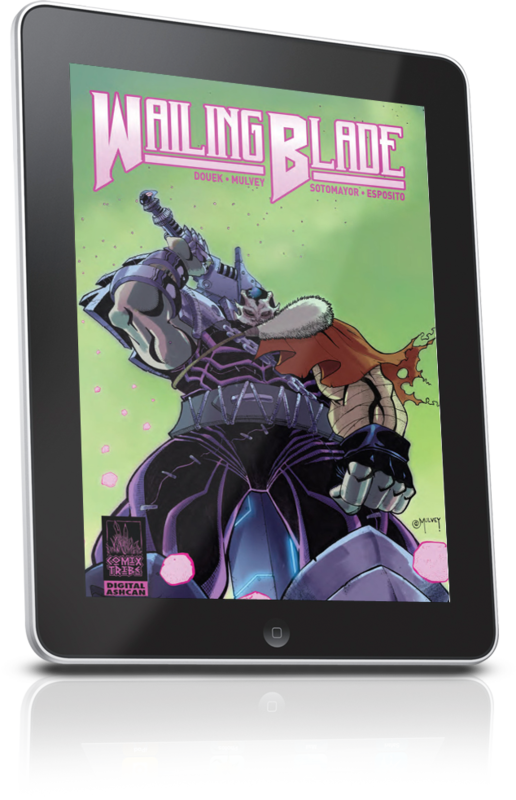 Download the Free WAILING BLADE Digital Ashcan Preview! 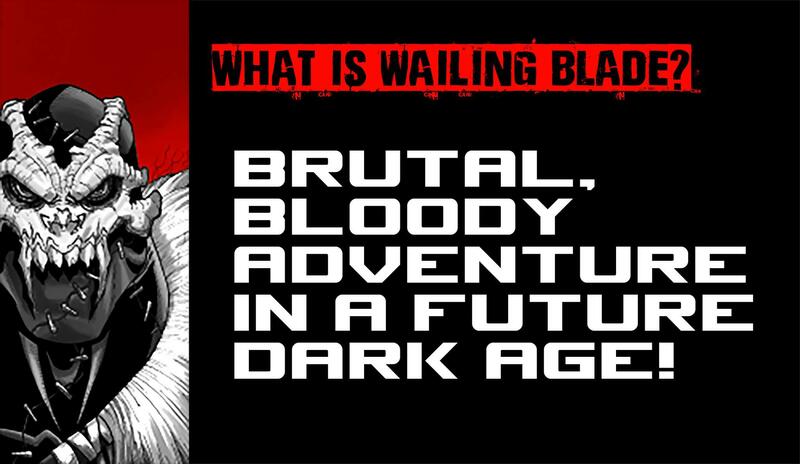 Get this exclusive, early access 19-Page preview before the blade turns heads in comic shops world-wide later this year! 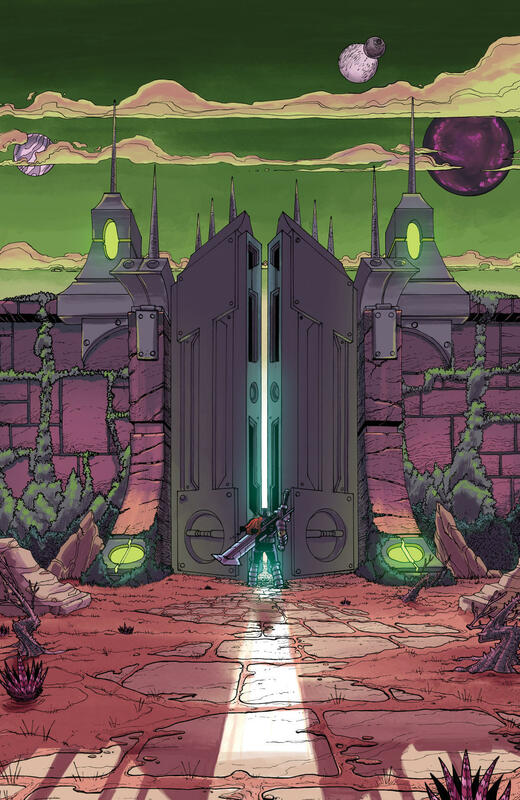 Thousands of years after mankind’s fall from the stars, the remnants of humanity live under the brutal thumb of tyrannical rulers who wield futuristic technology that to the masses, is indistinguishable from magic. These petty warlords squabble over the dwindling resources of a dying earth, while they themselves bow down to the Tyrant of Minturn, who crushes all who oppose him with his legendary executioners – warriors who wield the deadliest weapons from mankind’s starfaring days. The most feared of these executioners is the Head Taker, who wields the mighty and unstoppable Wailing Blade – a sword which screams louder than the victims it beheads. Each year, he travels the breadth of the Tyrant’s empire, dispensing justice and enforcing his will. Standing against the Tyrant are scattered clans of bandits, like the Windcleavers. Desperate scavengers, they defy the Tyrant by raiding his caravans, and keeping forbidden technology for themselves. Their prince, Tychon, sees an opportunity to pluck a great prize from the Tyrant’s grasp, setting himself on a path that leads to a confrontation with death itself, and the wailing blade. Will Tychon take the blade, or fall to its might, like all before him? 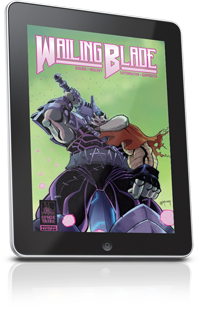 Get the FREE Digital Ashcan Today! 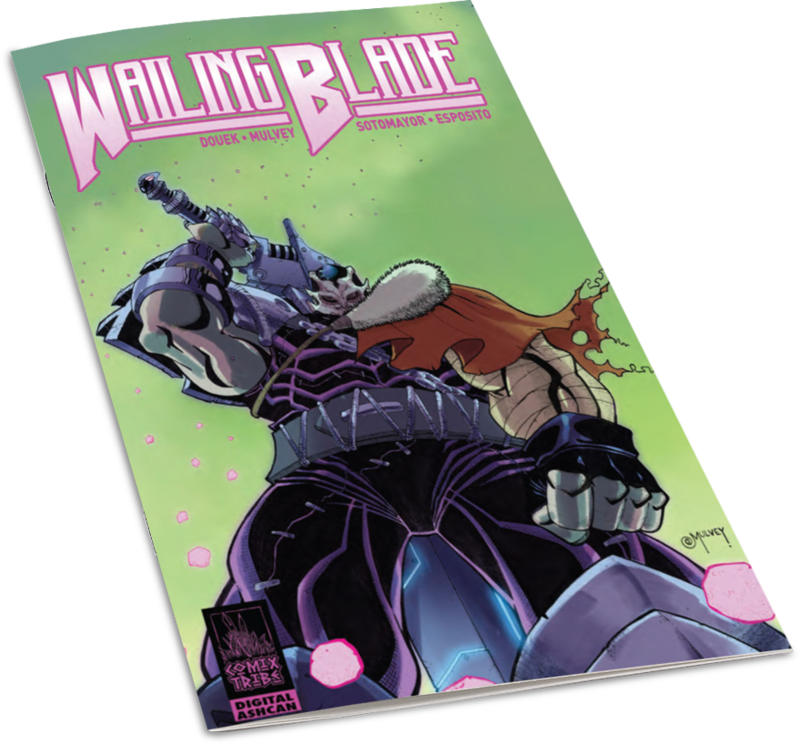 Don't forget to get your FREE Wailing Blade Digital Ashcan before you go! I didn't want to spoil it, but we have some other cool stuff for you on the INSIDE! So why don't you join us? Okay, I'll Take the Blade! The penalty for spam in Minturn is DEATH by an Executioner, so we will respect your privacy.